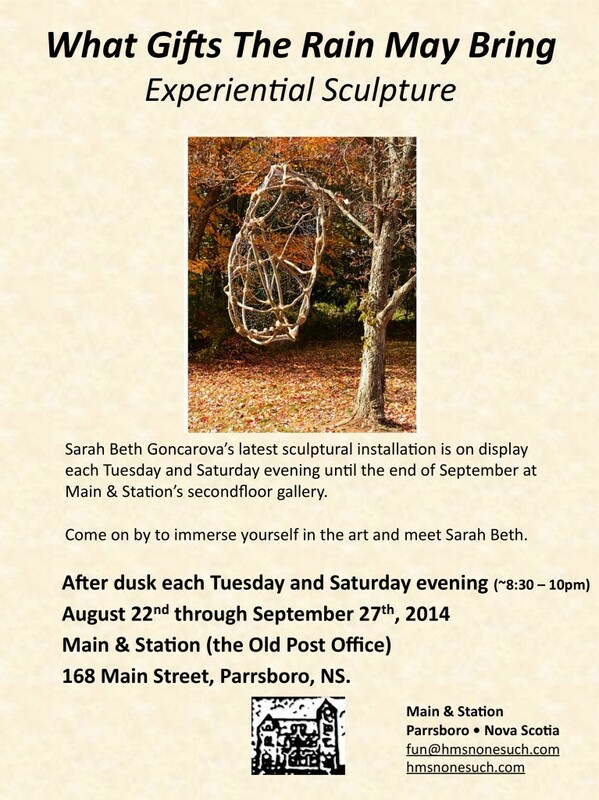 Throughout the summer and autumn, Sarah Beth Goncarova was here in Nova Scotia bending branches, wiring lights and recording sounds. 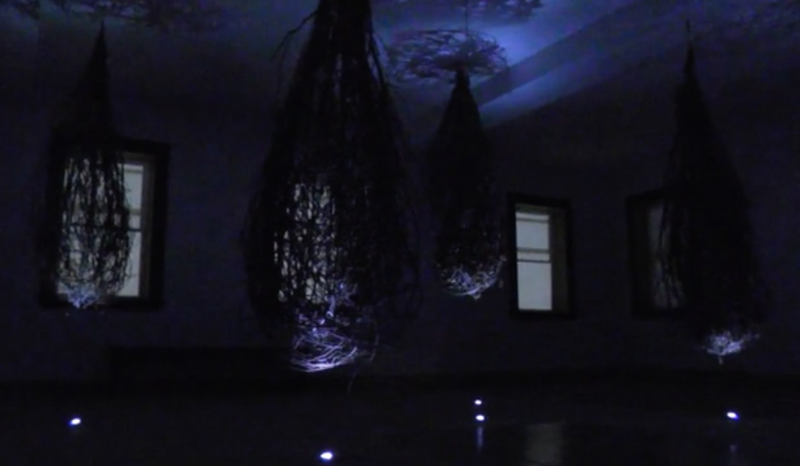 In August and September we were privileged to have her experiential sculpture, What Gifts the Rain May Bring, installed in the secondfloor gallery at Main & Station. She also created installations in the gardens at West Bay and at The Pond House. Check out the videos, words, and images below for a taste of her wonderful creations. What Gifts the Rain May Bring from Sarah Beth Goncarova on Vimeo. we are all grown up. Venus of Parrsboro. A living sculpture of alder wood and moss, commissioned by The Pond House Pottery Center, Nova Scotia.